Maple Leaf Veterinary Care Center is a full service veterinary practice located in the Maple Leaf neighborhood of North Seattle. Our mission is to provide veterinary care with compassion in a relaxed, professional, welcoming setting. We look forward to meeting you and your pet, earning your trust, and providing you with friendly neighborhood pet care. 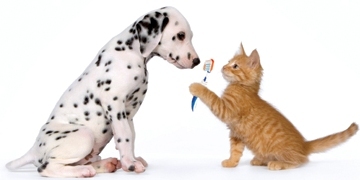 During the months of February and March we are offering a $50.00 discount on all dental procedures for your pets. 8626 Roosevelt Way NE, across from Cloud City Coffee. Convenient private parking lot is located behind our building.